Black and White and Loved All Over: Happy Thoughts. 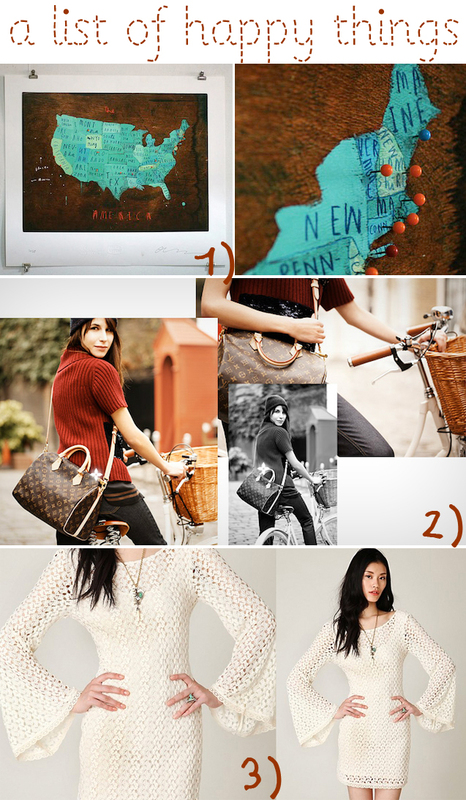 1) I want to map out my wanderlust with this Places in America print + pins from You and Me, The Royal We. 4) Lauren Conrad's new rainbow-colored hair 'do. 5) This sweet lamb lovey that I scored for Tess at Porter Flea Market last weekend. I've been snuggling it more than she has. If you dig, you can shop Oh Just Dandy's etsy. 6) This unbelievably sweet linocut print by Nashville artist Laura Baisden. I want it for my kitchen bad. 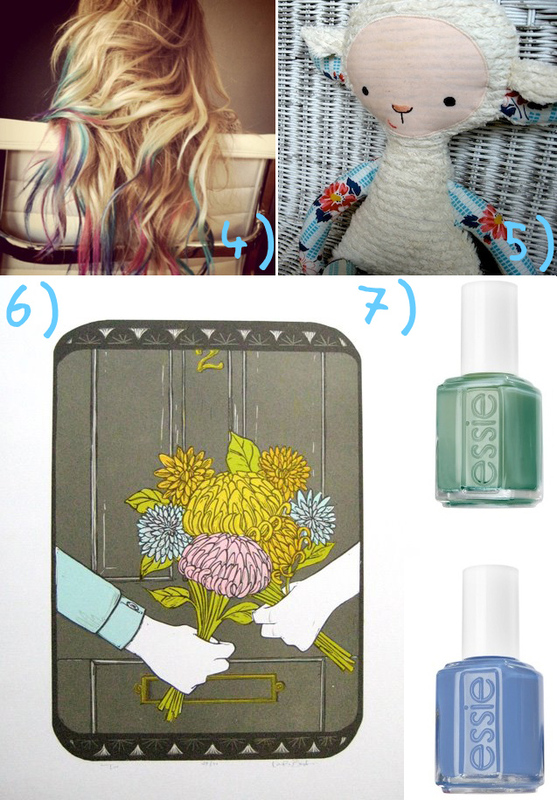 7) Essie's Turquoise & Caicos + Lapis of Luxury. The perfect beachy hues? 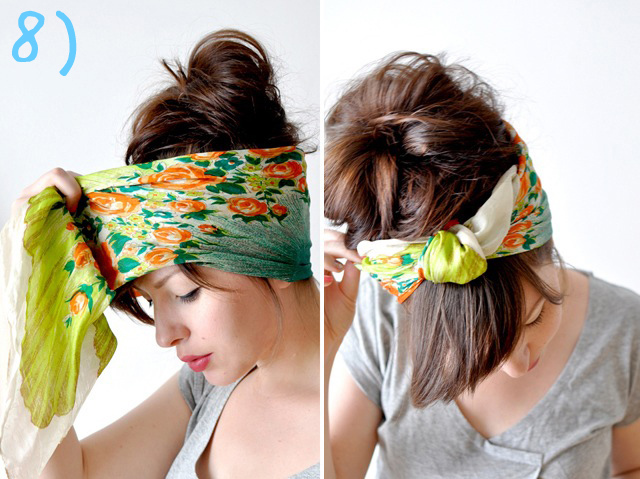 8) And ... Keiko Lynn's tutorial on how to tie a head scarf. I wanna try this. 2 // i was wondering about the little lamb. so so so sweet. saw it in your dining room last sunday. hope life is perfectly back to norm w/ nekos home! :) xo. 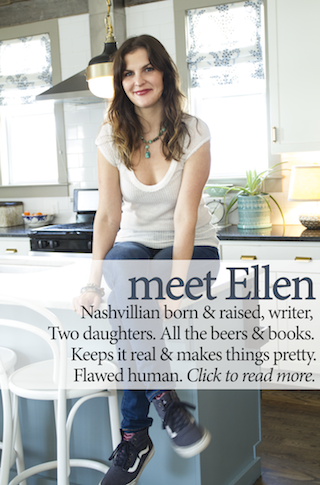 Hey Ellen Clark--it's your cousin Shelley :) You look so pretty in your pictures and I realize I MUST get down there as soon as I can to spend time with you and your bug! I can see you in her face, Ellie!